With the exception of three years during WW2, the Ahearn Trophy has been the goal for women golfers in the Ottawa area in their City & District Championships since 1922. This year was no exception and after three rounds at the Metcalfe, Meadows and Rivermead Golf Clubs, defending champion Lise Jubinville from the Hylands Golf Club emerged as the winner in Division 1 for the fourth time. Her scores of 82, 76 and 76 for a total of 234 were good enough by 4 strokes to have her hoist the championship trophy. She was followed by a trio of golfers with total three-day scores of 238. Hylands golfers Diane Dolan and Brenda Pilon as well as Ottawa’s Ashley Thompson were tied for 2nd place. 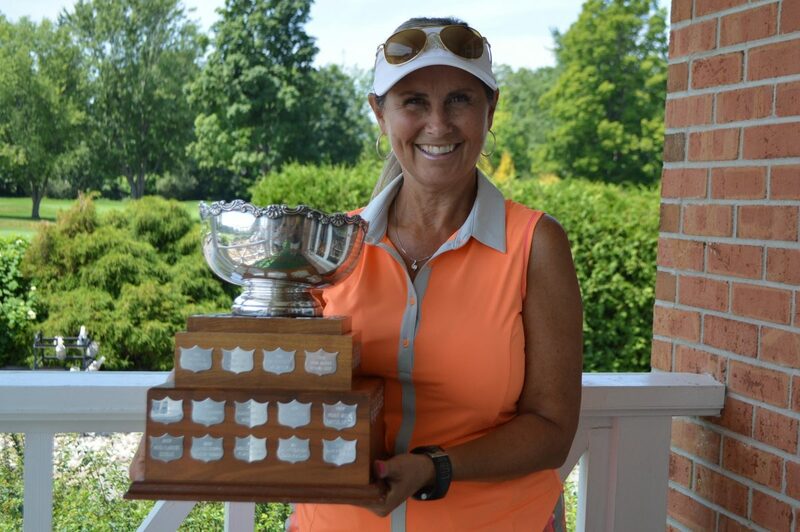 Danielle Dénommé from the Algonquin Golf Club was the winner in Division 2 with her three day total score of 272 and she took home the Rose Bowl Trophy which was first contested for in 1958. Casselview’s Michele McNeill finished 2nd with her three-day score of 281. Congratulations to all participants in the 2018 OVGA Womens’ City & District Championship as well as the tournament organizers and officials for another successful championship.